Top Housing is a leading supplier of permanent pre-engineered buildings. We have supplied buildings to emerging and difficult to reach markets globally for over three decades. The Top Housing building systems have been developed to be easy to build and to function in demanding environments. They provide a high standard of use and functionality with a long life span. We have long experience of delivering camps & compounds, schools, hotels, offices, industrial buildings, medical units, water treatment, interior furnishings etc. Conceptual design and feasibility studies, to help the client to define their project and for Top Housing to to make a proposal for the supply of the detail design, material supply, project management and site supervision for the project. We aim to provide our clients with a one-stop-shop for succesful projects - we have the expertise and experience to deliver on time and to budget. 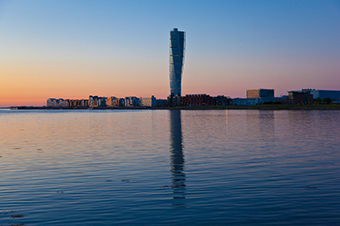 Top Housing is located near the southern Swedish town of Malmö. From abroad we can easily be reached via the bridge connecting Denmark and Sweden, by a 30-minute drive from Copenhagen international airport or by a speedy train journey.